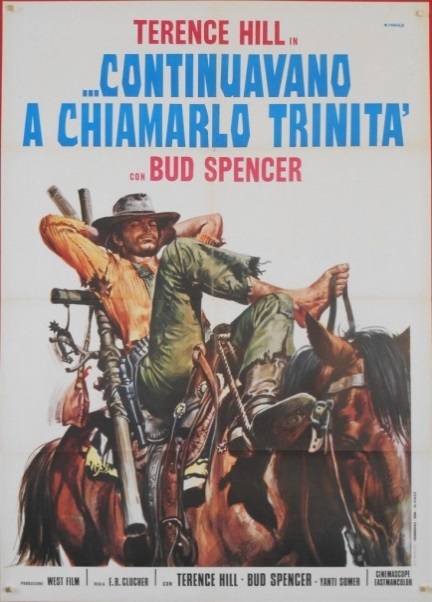 Trinity (Terence Hill) and his brother Bambino (Bud Spencer) promise to their dying father to undertake together at last a decent career as outlaws. So they come to a town where Parker, a local squire, sells weapons to Mexican rebels taking advantage of the local friars and subduing them to be the middle men in the transactions. The two use a misconception that they are federal agents, seeking to take advantage of the situation: Trinity seeks to conquer the beautiful daughter of a farmer and both brothers would then pocket the sum delivered by the Mexicans to the friars for the weapons. Eventually they go against Parker and his men in defense of the religious order.